The book under review is the German translation of the original 2004 study of Karol Modzelewski, written in Polish and already translated in French, Italian and Lithuanian, with a Turkish translation now in progress. Modzelewski focuses on the barbarian culture of the region between the Rhine and the Dnieper, in the centuries ranging from Caesar's campaigns in Gaul and the fall of Arkona in 1168. Inspired by Reinhard Wenskus, Modzelewski sees this area as a cultural continuum (33-34). Relying on the authority of late Roman authors he calls this territory "barbaricum". The chronological edges of Modzelewski's broad fresco are the establishment of the Roman frontier on the Rhine and the final spread of the "zivilisierte Welt" to the East and the North (38). In Modzelewski's view this ultimate wave of Romanization took place when Byzantine, Frankish and East Frankish aristocracies, through violence and the cooptation of local elites, extended their control to the "barbaricum". Between these two moments Modzelewski singled out a specific society, symptomatic of a particular mind-set, based on the role of the tribe and Barbarian collectivism, a category of the author's. The heritage of this Barbarian world played, in his opinion, an important role in the formation of the complex European identity. Eduard Mühle introduces the book with an essay on Karol Modzelewski as historian and politician. The first chapter then deals with narrative texts (37-64). Modzelewski compares ancient and medieval ethnographies to modern anthropological field reports (35), an idea that many would refute. He maintains that ancient and medieval authors shared a distinguishable cultural matrix, which the historian can recognize in order to extrapolate ethnographic observations from the text. A description of the law codes collected in post-Roman Europe follows the one of narrative texts (65-128). Great care is dedicated to the Lombard laws, read as one the most authentic products of the "barbaricum" (103). The following five chapters describe social norms that, according to Modzelewski, belonged to the cultural horizon of the "barbaricum". Discussing kinship (129-178), customary topics like vengeance, blood feud and honor are analyzed on the basis of evidence ranging from Tacitus to the Pravda Russkaja or the Grágás. These masculine themes are genderized by a discussion, although brief, of women's roles among the Barbarians (167-178). Social stratification within the tribe is dealt with next (179-282). Relying on legal sources, Modzelewski identifies slaves, laeti (a category that the Author interprets as freed slaves), and the freemen as the social categories of the "barbaricum". Particular attention is dedicated to the freemen and the hierarchy among them, in Modzelewski's view the backbone of Barbarian collectivism. Neighbourhood and villages (centena, go, opole) are the main subjects of chapters five and six (257-338). This is the core of the book, but also the most challenging part, because of the length of the argumentations. Modzelewski tries to penetrate the mentalities characteristic of the "barbaricum", together with its reflection on society. From a long discussion of the Barbarian assembly, Modzelewski fleshes-out the great importance of the tribe, a community of segmentary structure of egalitarian nature and territorial character. The institutions of the "barbaricum" are the subject of chapter seven (339-412). 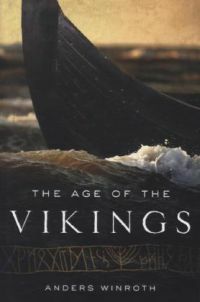 Discussing Barbarian kingship, the author maintains its role as leader of the tribe and its sacral character (391). Relying on Lombard sources, he suggests that the Germanic König and the Slavic knjaz had originally a military function, being the first among the warriors. The king's coercive power was only imported later. An epilogue narrates the end of this egalitarian society in the aftermath of the Christian and imperial conquest. The vastness of this geographical and chronological frame well reflects the sound scholarship of the author, but presents the reviewer with some difficulties. Many different layers of the historiographical thought of the last century and half are inextricably tangled and sometimes hardly recognizable, due to the complicated relationship between text and footnotes. Some remarks will leave the reader with unease (375: "Tacitus war ein römischer Heide, ein Erbe der griechischen Tradition und, wenn man so sagen darf, ein guter Indoeuropäer").The historiographical parentheses represent a second problematic issue of the book. The debate on the "Königsfreien", for instance, is well summarized and clearly narrated (213-217), but the professional historian would be already acquainted with it. This raises the issue of the book's audience, often addressed by Modzelewski, but not easy to identify. 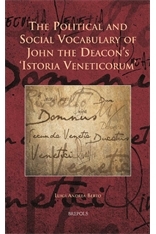 The work is perhaps too complicated and merged in the historiographical debate for the students, too wide and uneven for the scholars to use. Also some methodological choices at the heart of the monograph will be controversial. Modzelewski adopts a diachronic approach to evidence, comparing customs and norms due to morphological similarities. 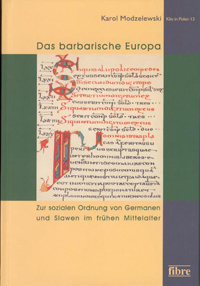 He reconstructs a Barbarian lost society investigating narratives written in Imperial and Christian contexts, extrapolating what he believed to originate from the "barbaricum" (413: "aus den Gebieten des barbaricum mitgebracht"). In these circumstances the author adventures himself on the dangerous field of discerning literary tradition from ethnographic observation. Taking information from authors as distant and diverse as the Historia Augusta and Helmold, with the Germania always paramount, he creates a unitary society. Thanks to this approach Modzelewski tracks wide-spread customs as the drowning in mud, allegedly a Slavic and Germanic favorite among the punishments (45-47). Moreover, for the sake of his argument, the author is forced to underscore the role of literary-loans to maintain the independency of the sources he uses as complementary. Even when similarities between ancient and medieval narratives are not taken at face value for wide-spread habits and forms, he explains them with the authors' mind-set, similar from Tacitus to Thietmar, going through Procopius and Boniface. This methodological proceeding implies not only static conception of the Barbarian society, but also the persistence of a similar imperial discourse from Pagan Rome to the Christian Empire of the Ottonians (47). In all this sameness the evident differences between (i.e.) the Visigoth and the Lombard polities are explained due to the different nature of the contacts with Rome. According to Modzelewski, it was the extent and character of the contacts between a static Empire and a static "barbaricum" that shaped the different forms and habits of the early and high medieval European polities (418). The work has, however, many merits. Ethnic delimitations are surpassed and Slavic and Germanic-speaking barbarians are discussed together. Also the traditional chronological edges of the disciplines are overcome, and the reader is struck by the easiness showed by Modzelewski in quoting from the ever-present-Tacitus or the Ottonian charters. The greatest worth of Modzelewski's book is to offer a blink to European history from a different angle, including in the narrative regions too often left at the margins of the debate between historians of Antiquity and the Middle Ages. Modzelewski's book is a mine of information. The comparative vista he presents will surely fascinate the reader. 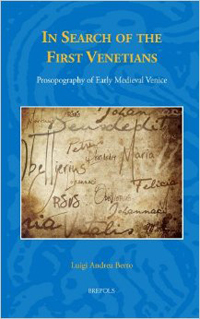 For a lengthier discussion on methods: Paola Guglielmotti / Gian Maria Varanini (eds. ): Intervista a Karol Modzelewski, in: Reti Medievali Rivista 11 (2010), 509-79 (http://www.rmojs.unina.it/index.php/rm/article/view/16).